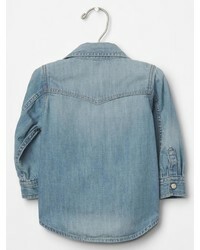 People will dote all over your kid if he wears this combo of a Gap 1969 denim western shirt from Gap and grey jeans. This style is complemented well with green-yellow sneakers. 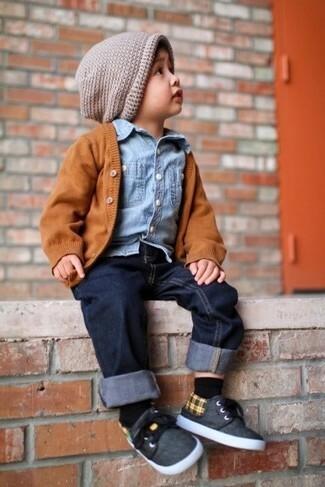 Suggest that your munchkin wear a Gap 1969 denim western shirt and beige jeans for a dapper casual get-up. 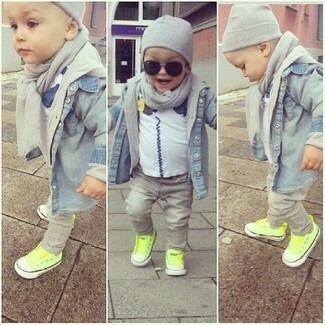 As far as footwear is concerned, suggest that your little one throw in a pair of navy sneakers. Go for a light blue denim long sleeve shirt and grey jeans for your tot to create a smart casual look. 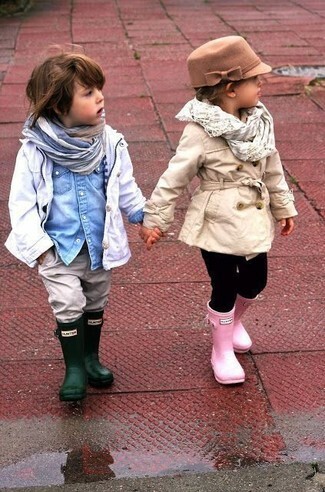 And why not introduce dark green rain boots to the mix? 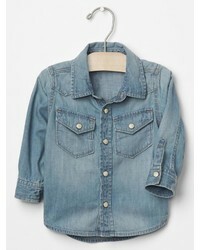 Suggest that your son pair a light blue denim long sleeve shirt with charcoal jeans to get a laid-back yet stylish look. Blue sneakers are a savvy choice to round off this outfit. 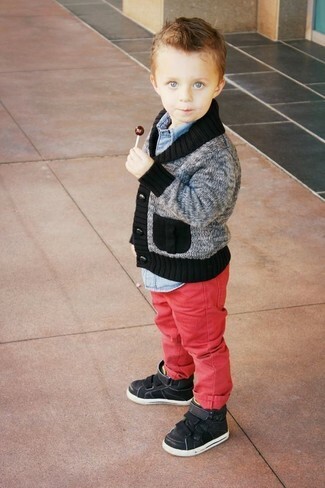 Help your tot look fashionable by dressing him in a light blue denim long sleeve shirt and red jeans. 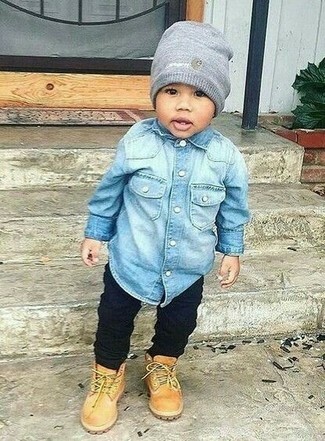 As far as footwear is concerned, suggest that your little guy throw in a pair of black sneakers. 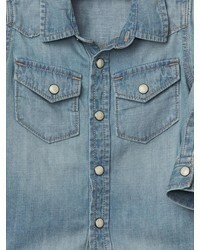 Wearing a light blue denim long sleeve shirt and navy jeans is a good fashion option for your son. Charcoal sneakers are a smart choice to complement this look. 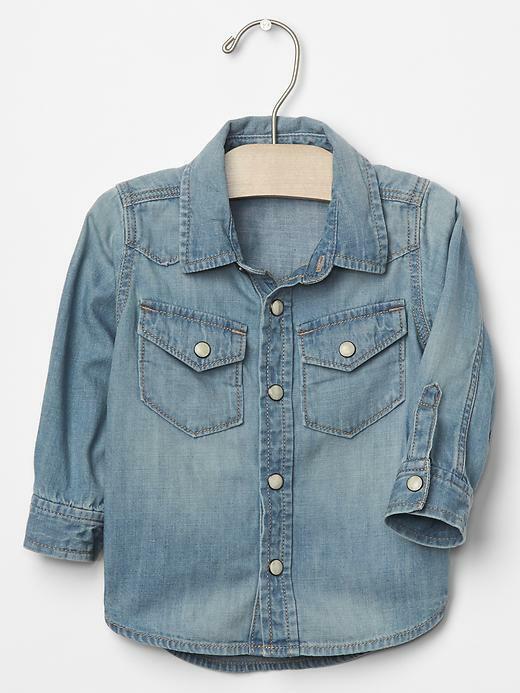 This combo of a Gap 1969 denim western shirt from Gap and black jeans is both a functional and fashionable choice for your son. Tan boots are a savvy choice to complete this look.